We responded to a challenging regeneration brief, transforming a parking lot on a flood plain into a mixed-use development with an elevated public realm. 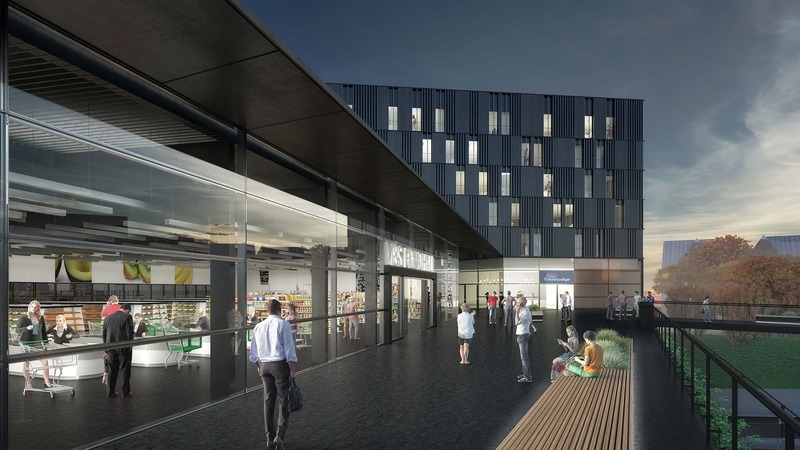 Introducing a food retail supermarket, a hotel and a pedestrian outdoor space as complementary to the existing offer of the town centre. 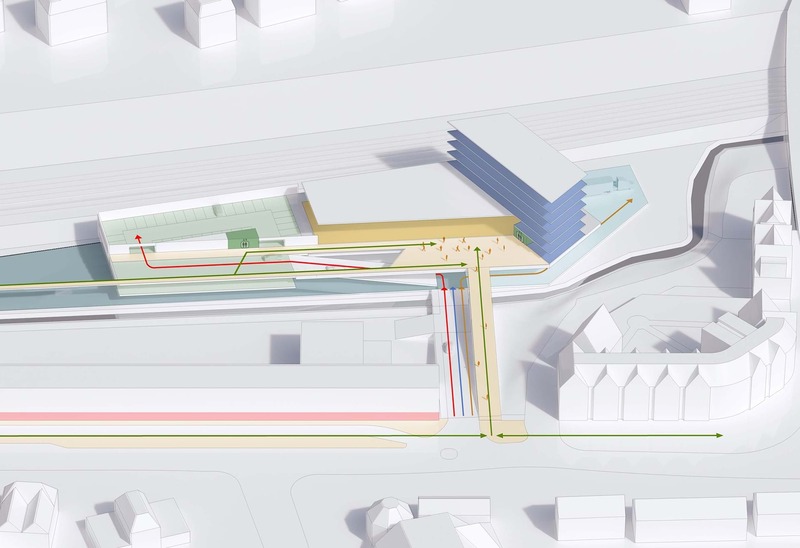 Our proposal reconfigures the flows in and out of the site through a multi-level decking, re-distributing vehicular, deliveries and pedestrian movements in three dimensions. 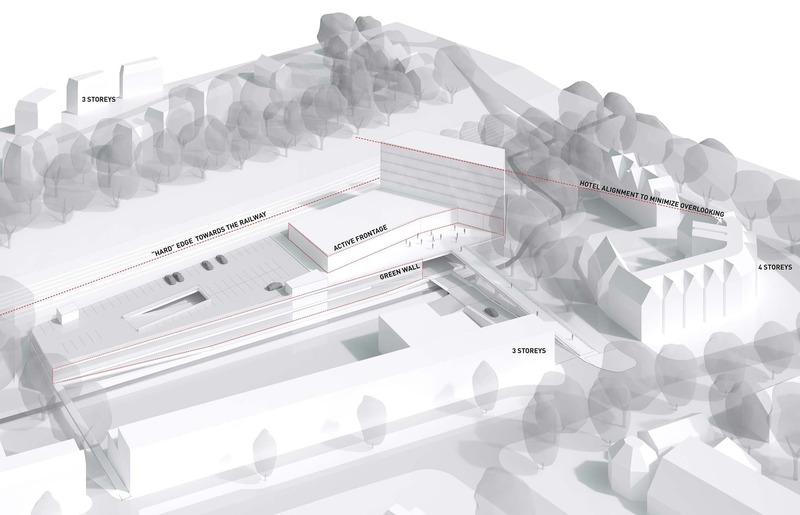 The proposed distribution of the massing and active frontages creates a new elevated public space fully integrated with the architecture of the development. Our design strategy aims at a clear characterisation of the different uses whilst re-interpreting traditional aspects of the Radlett Town Centre through the contemporary uses of materials and building technologies.Our design of the envelope reconciles vertical vegetation, glazed facades and ceramic curtain wall to deliver an environmentally performative solution throughout the different elements of the scheme.